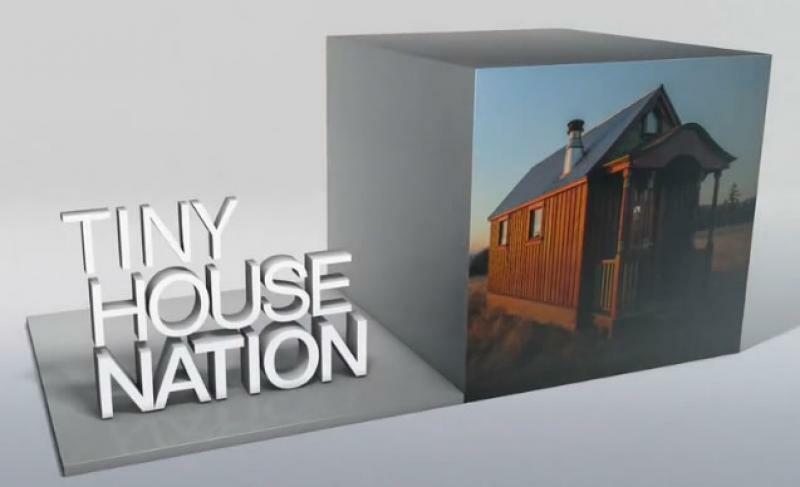 We love to hear back from our customers about their home improvement projects and our products. 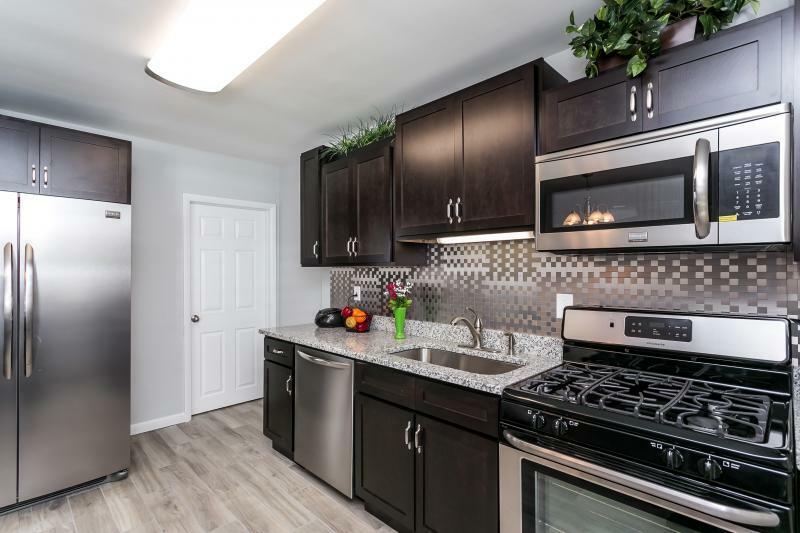 Whether you were installing a full kitchen, or just remodeling your bathroom, if it involves our RTA Kitchen Cabinets or RTA Bathroom Vanities, we want to hear about it (good or bad). Use the Customer Feedback section to brag about your handywork or throw in a good word about our products and/or service. 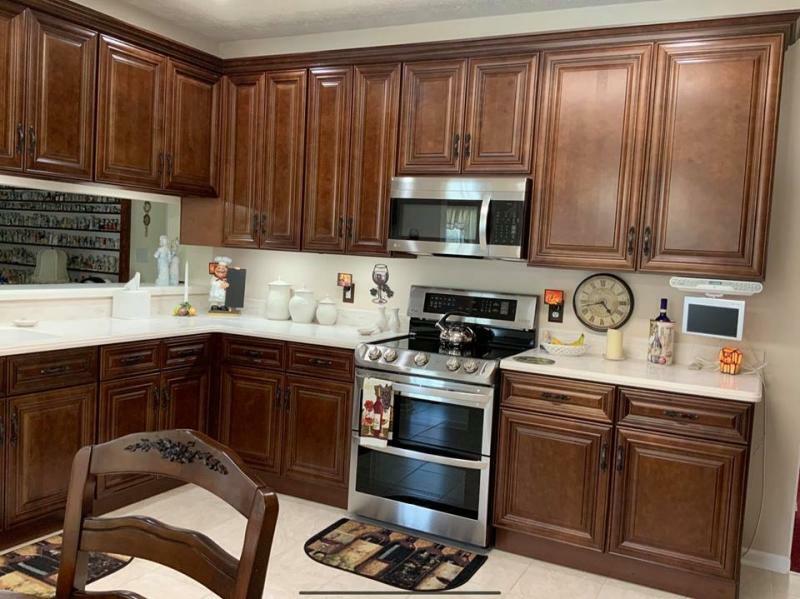 Love the appearance and quality of the cabinets. Assembly is easy. Customer support was great when I did get stuck. The drawers are solid wood with tongue and groove assembly. The drawers are a little more shallow than my old ones (probably due to the thicker wood bottoms and the easy-close mechanism). 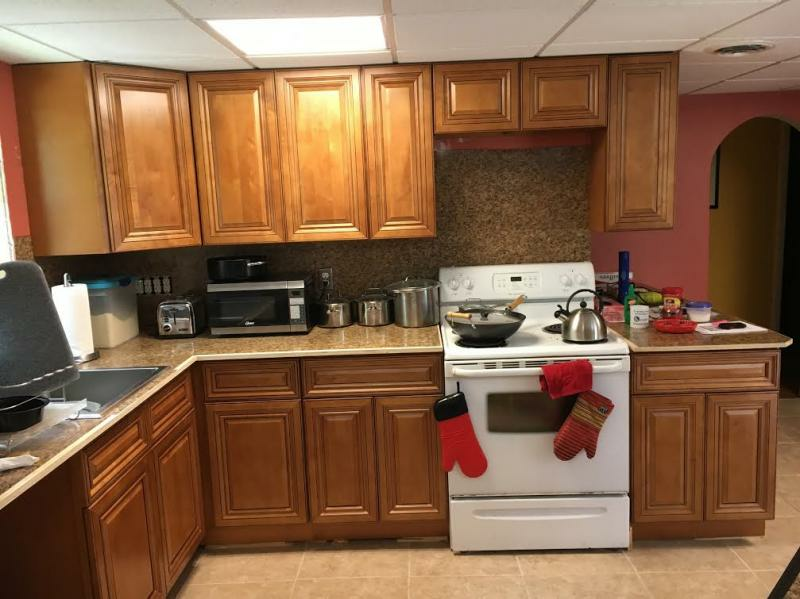 I purchased kitchen cabinets and I read the reviews before purchasing and they didn't seem very good. My experience was very good from ordering to delivery and I had an issue with the face of a corner cabinet and it was replaced immediately. I would recommend RTA to anyone looking for updating their kitchen. 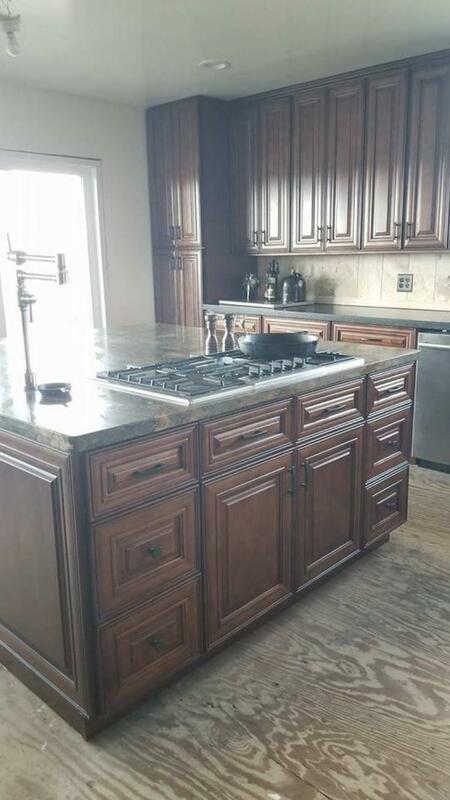 he only thing I would change is that I ordered a different color cabinet for my island that the other cabinets. They must have come from a different manufacturer because the Island cabinets had clips already installed and I just had to slip them over and tighten the screws. 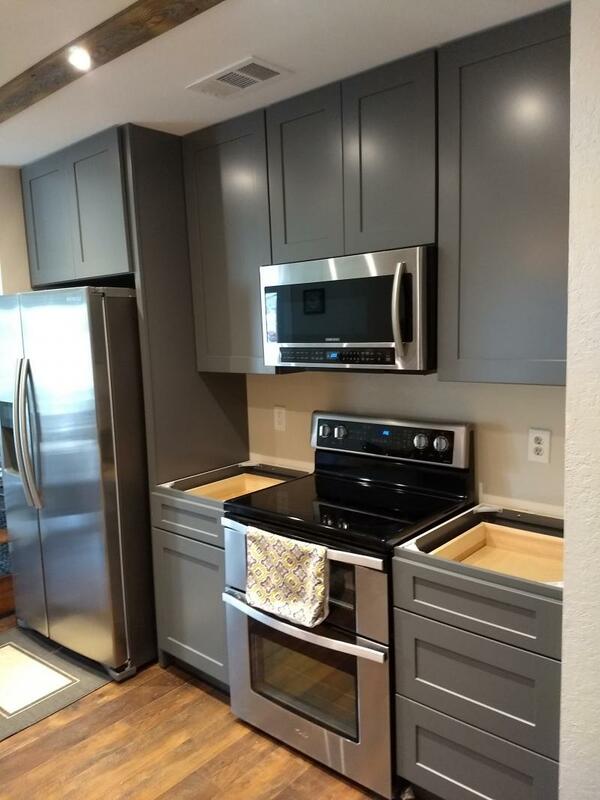 The rest of the kitchen had angle brackets that I had to screw into the cabinets and it took much longer to assemble them.The staff is very responsive and the design was very well done. They shipped exactly when they said they would and they replaced a defective face immediately. Such nice quality for an awesome price. Our contractor recommended RTA Cabinet Store, and we are glad we took his advice. We were able to get a more custom look than we could have with other products for the same money. We now have the nicest Butler's Pantry and Laundry Area in town! 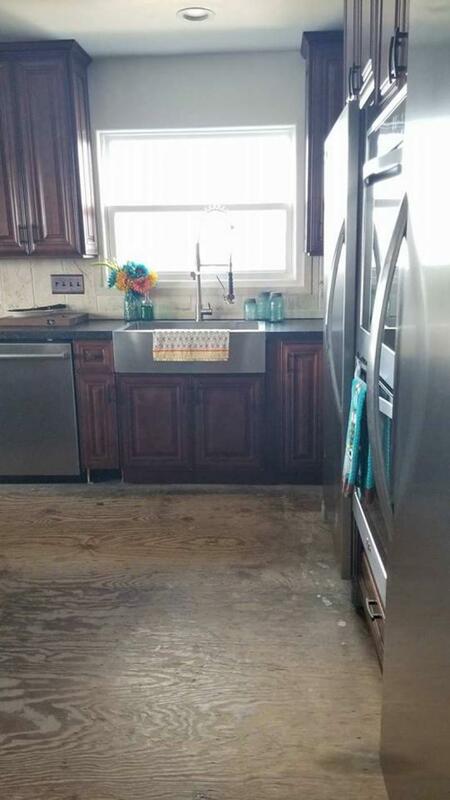 For real, it makes me hate my kitchen and want to redo the entire thing! Maybe someday soon! The ordering and delivery process was easy and fast. We appreciated the contact from customer service and the tracking information for each part of our order. 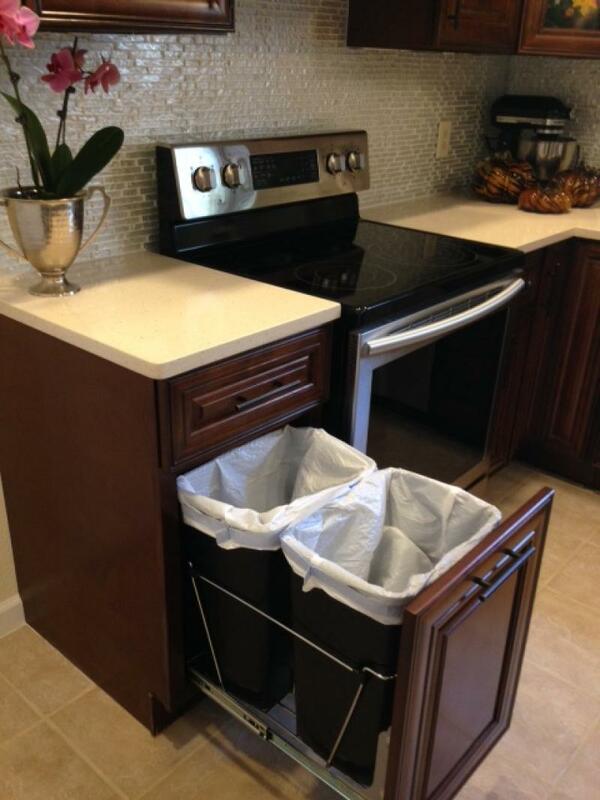 Very good quality cabinets, they went together quickly and are very sturdy.
! Everything went as smoothly as we hoped; from ordering, to shipping, to installation. A well made and attractive addition to our basement rec. room. Thanks RTA! We received our order about two weeks after ordering the cabinets. The shipping company dropped the cabinets off the back of the truck when they were delivered. We looked through all the boxes that night and found two cabinets that had been damaged. I filed a claim and Anne responded quickly to the claim. I sent pictures of the dropped cabinets and the damage. Anne quickly processed the claim and our new cabinets arrived just over a week later. 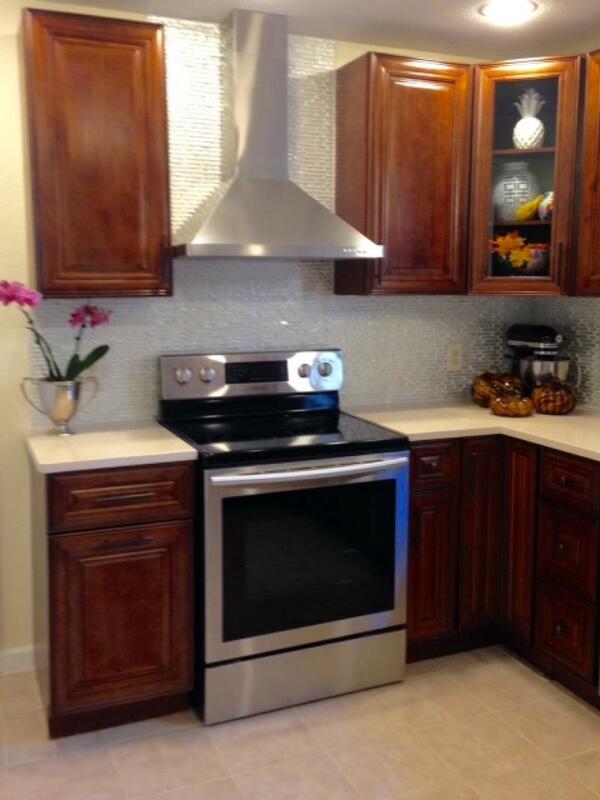 The cabinets are very well made and look great. This is my fourth kitchen remodel and I would highly recommend these cabinets. 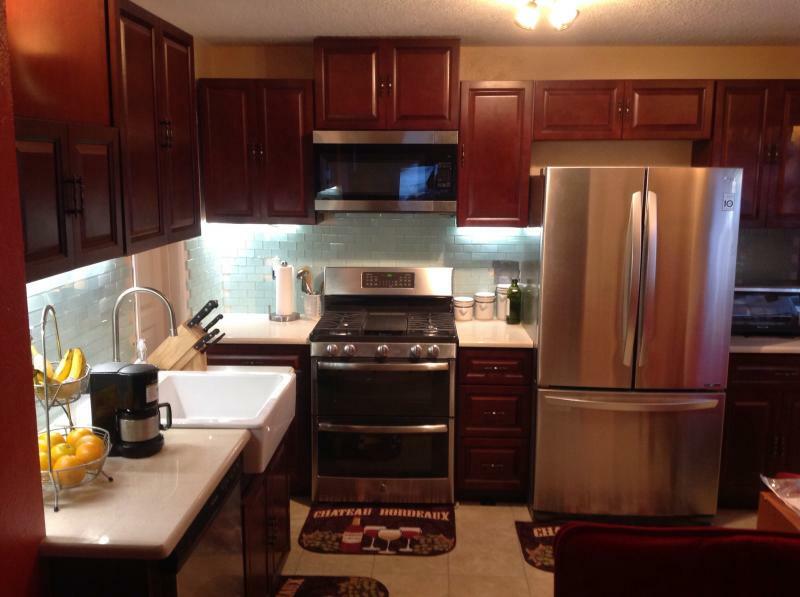 I used other brands (Yorktown, Thomasville, and Kraftmade) in the other three kitchens. These are just as well made and priced so much lower. Just waiting on counters to be installed. In retirement, my husband and I decided to build a lakeside cottage. Doing two-thirds of the work, it took us three years. We ordered the kitchen two years before we had a chance to install it. 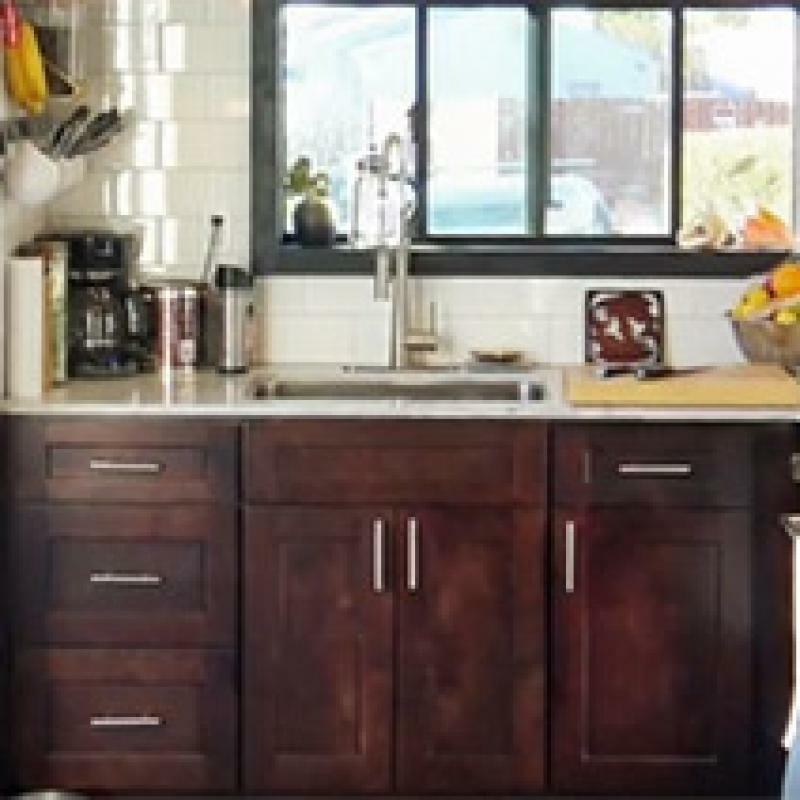 Adam helped me design the kitchen of my dreams and the wait was excruciating! RTA cabinet Store was a great decision. Our rather large order was delivered without damage. We chose Tuscany Maple for the design and accessories but the color turned out to be a perfect fit for our application. Installation was relatively easy. Cabinets averaged a 15 min. assembly time. We did use some online tips. The RTA dentrix crown molding did not fit our decor so we bought a simpler one. 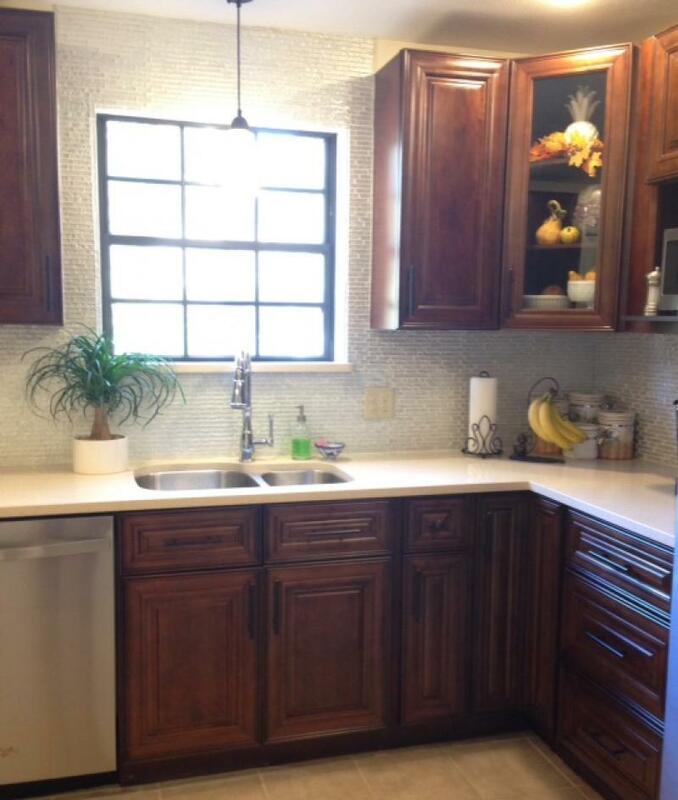 Matching the color with latex paint to a glazed cabinet was nearly impossible, but Sherwin Williams did the best job. We love the look of our kitchen and hope to enjoy it for many years to come. Thank you RTA Cabinet Store!! I would like to thank the folks at RTA for a great kitchen remodel experience. RTA was a pleasure to work with. Absolutely love my bathroom vanities. !!! My husband put them together. Wasnt hard just took a little while. They are gorgeous. Ordered the shaker style in coffee. I ordered cabinets with RTA before and there were no damages in this shipment. I purchased the white shaker cabinets, put them together myself in two days. The only issue was there were no instructions included. 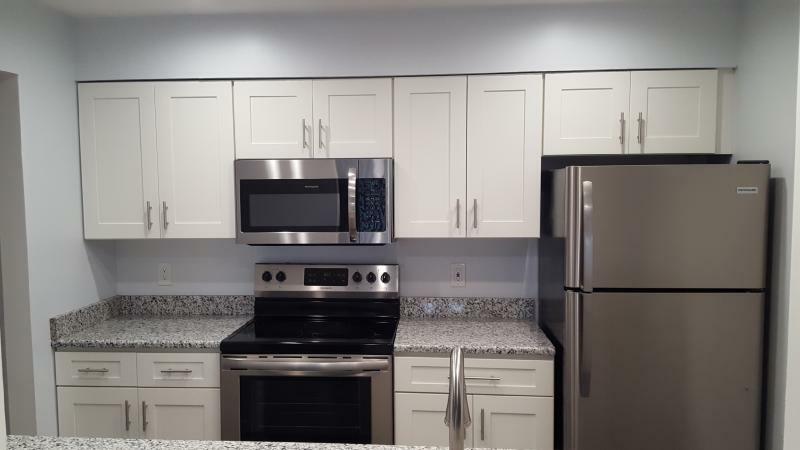 White shaker cabinets, granite countertops, finger resistant stainless steel appliances, satin nickel finish pull bars, metro gris tiled flooring. I wanted to share our latest install. Excellent communication with staff member through the ordering process. My order arrived right on time, very well packed. 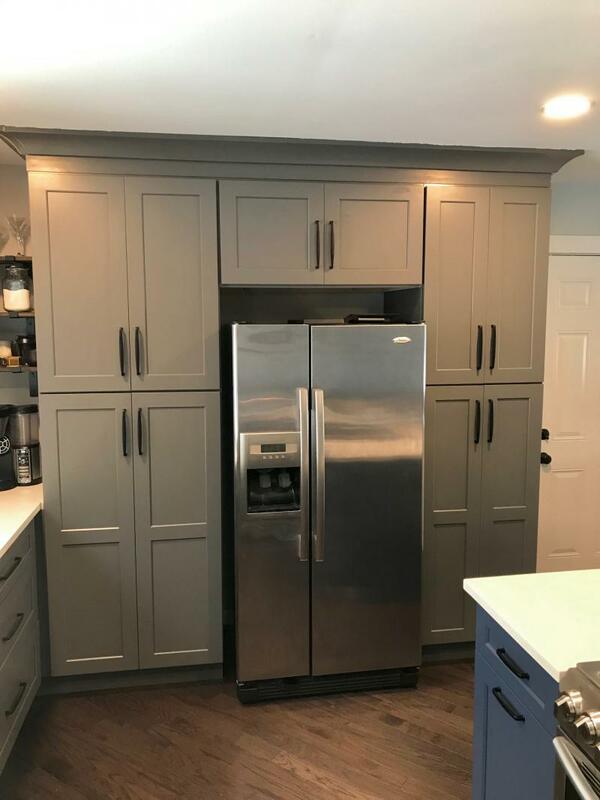 I found the cabinets easy to erect and very high quality. 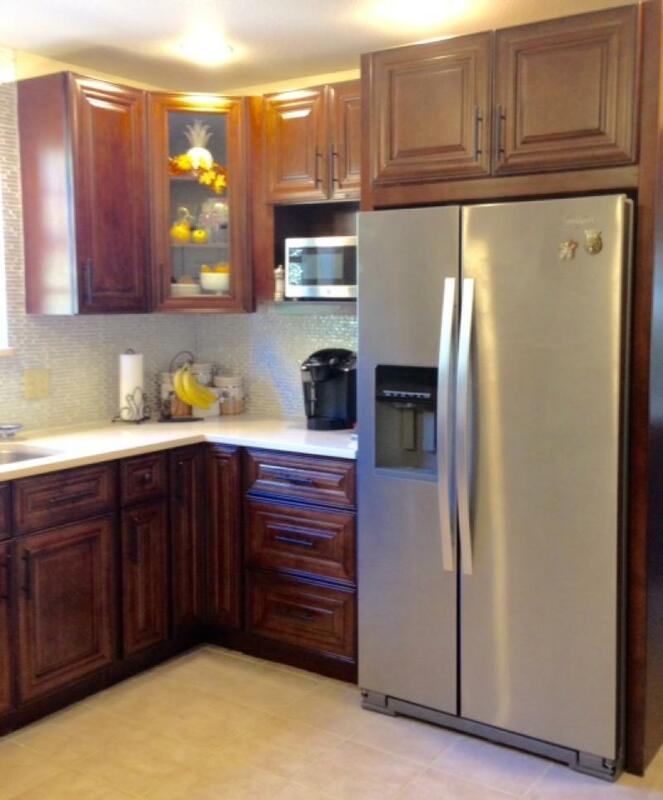 These cabinets I would describe as high end standard, without the high end cost. Lovely finish on them, solid wood. My observation is if you have never put a cabinet together before, then you may have some problems along the way. 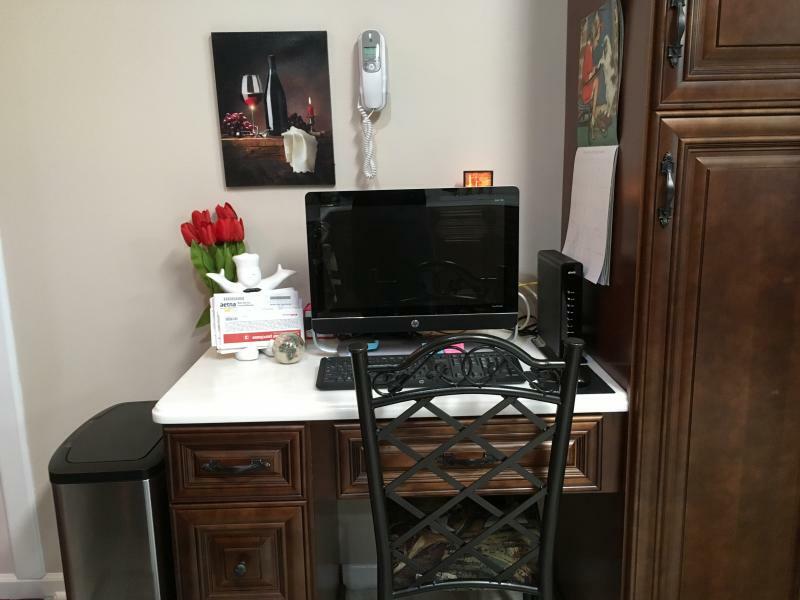 You need to have some skills in this area with the tools and a good work area to put together well (watch the you tube videos which are very helpful). The drawer sliders in particular have no assembly instructions. I watched as video, although my sliders were a little different) and figured it out. But for a complete novice I would think this could be challenge. Nevertheless, excellent cabinets. Would recommend to anyone. 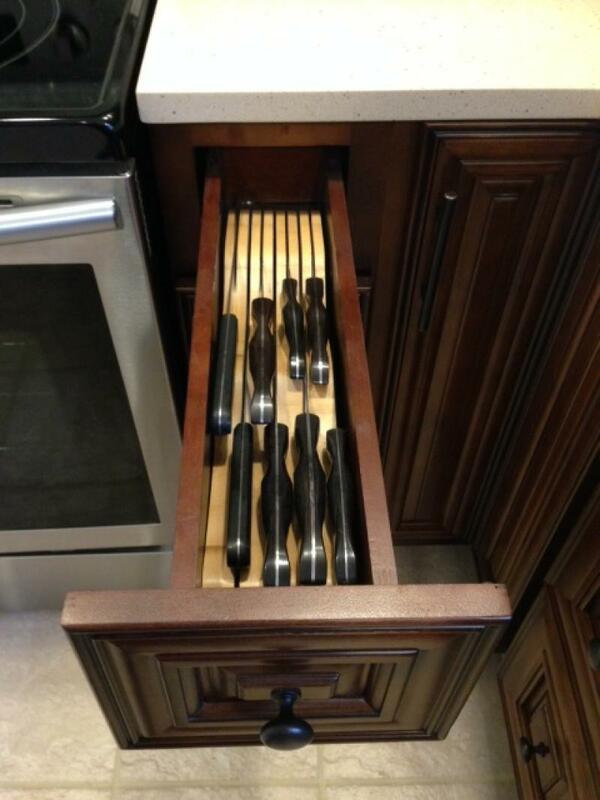 I am already looking at upgrading other areas in my house using these cabinets. Communication with RTA was amazing . Always knowledgeable and easily made a change for me as requested. Tracking was very easy after the were shipped and my cabinets arrived I damaged . This was just a few days ago! I am very pleased with the quality and have put together all but three so far. Very easy ! I’m about to watch the video to try and figure out how to assemble the drawer tracks now. I’ll send photos after my job is complete. 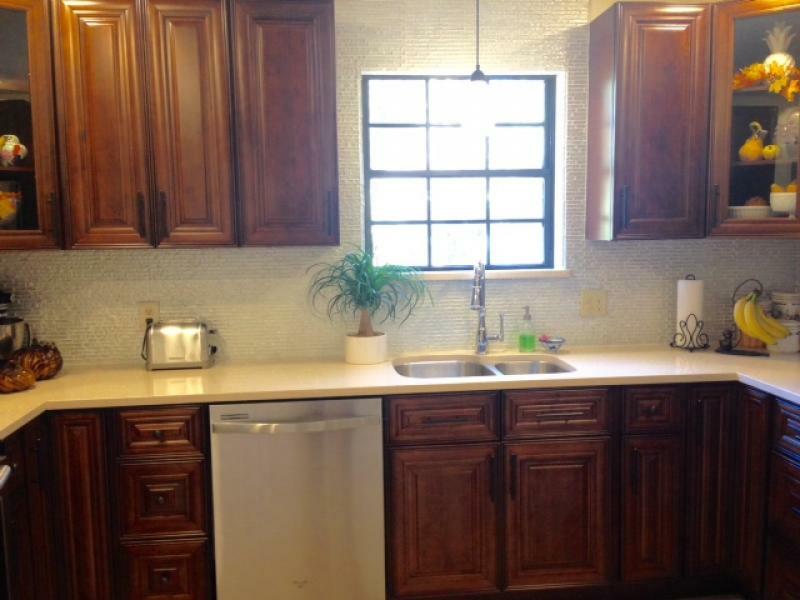 These elegant white shaker kitchen cabinets are for a rental and I love them ! Thank you so much for our beautiful new kitchen. I purchased an unfinished home, and finally had the space for my dream, gourmet kitchen, but I didn't have a gourmet budget. In order to save money, I, a 43-yr-old female, did most of the work myself. I found the cabinets I wanted, ordered them, and they arrived in about three weeks. My RTA cabinets came via semi in about 40 flat packs that we had to carry upstairs! Some of the larger boxes, I had to unpack in my yard, and carry up piece by piece. It's definitely a two (or more) person job to transport these boxes. Assembling the cabinets was a little challenging in the beginning, but after the first cabinet was together, each one was easier and faster. It took me about three days total to get the cabinets all together. I had help installing the wall cabinets, but everybody who's entered my home was blown away by they beauty of these cabinets in person. I've had at least three contractors ask where I got them, and how much I paid. I'm happy to say that I paid about $8k total (with shipping) for my18'x20' (including coffee bar) kitchen. I could not be happier with my kitchen. Thank you, RTA Cabinet Store. 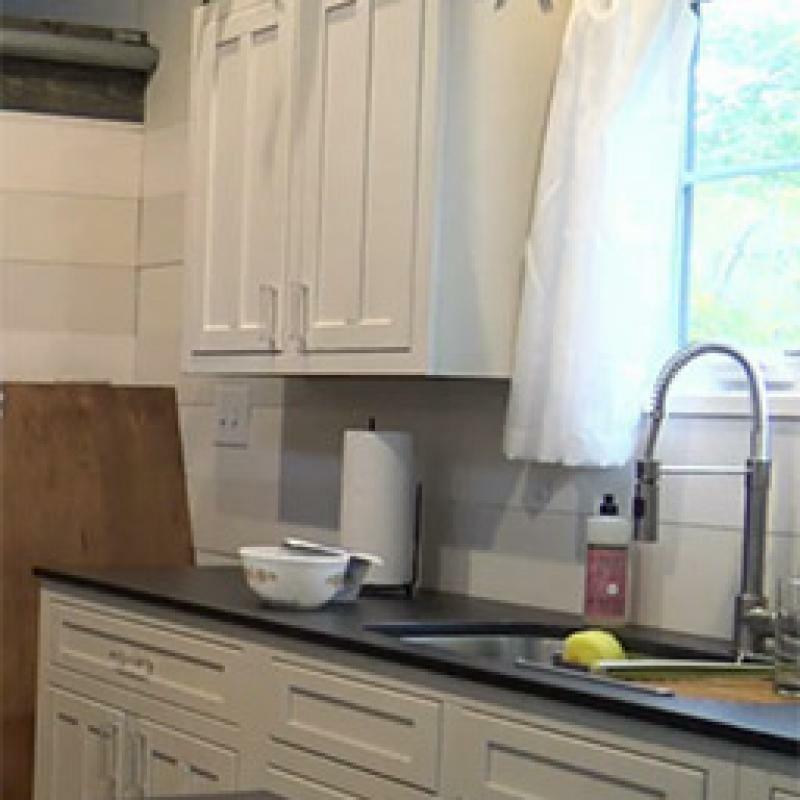 I have used RTA on two flip homes and the cabinets have been easy to work with and the end results look extremely high end and offer an affordable approach to kitchen design. 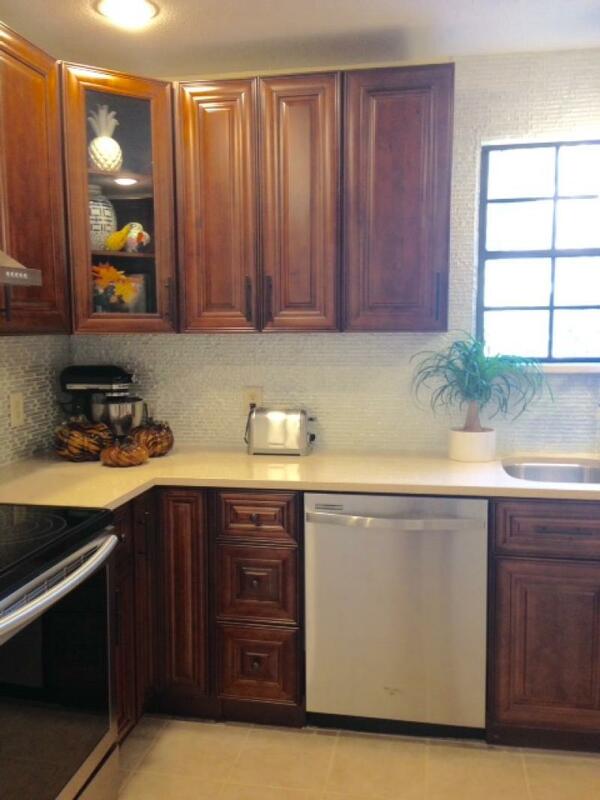 Remodeled our kitchen with white shaker style cabinets. Prices were better than any store by us, and quality was 10 times better, hands down! Cabinets arrived on time, no damage, were easy to assemble, and look as good as our friend's cabinets that were custom made( and arrived with 2 broken and 1 wrong size!). 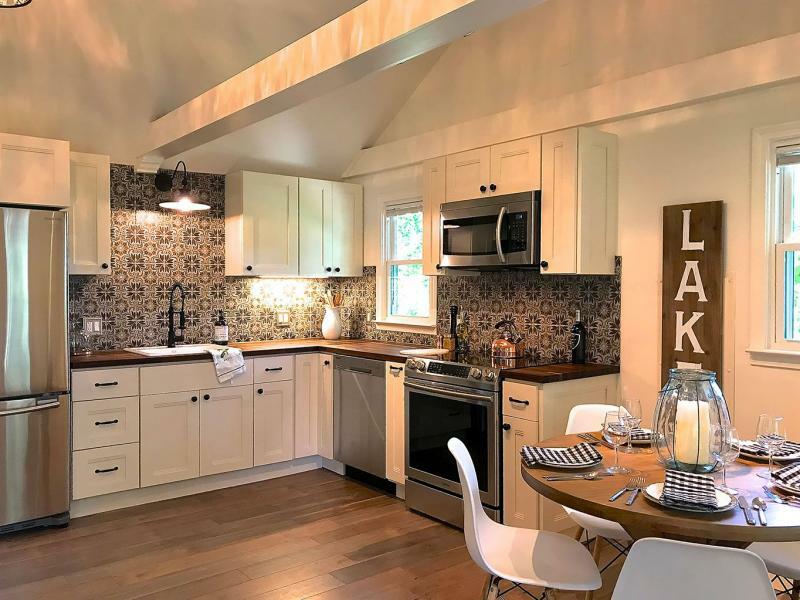 We recommend them to everyone we show pictures of our kitchen-if we could do it, anyone can- we're in our 60's, and have done our own renovations always, but are slowing down with age,etc. 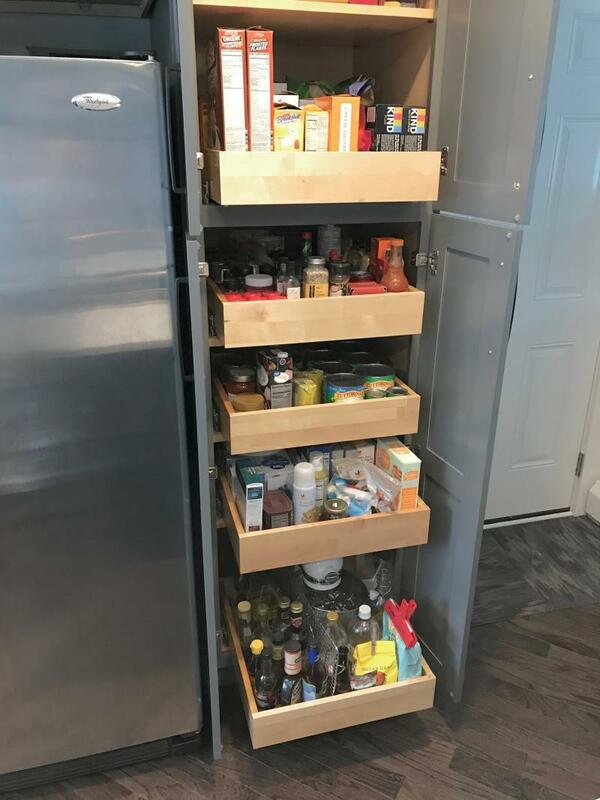 These cabinets are awesome-all wood boxes, screws and clips instead of those funky cam lock things, soft close doors and drawers, nice even finish, can't say enough about them. (2) Elegant white Shaker 48" vanities. R&L carrier did a great job, placed the skid in the garage and took the empty skid with them. No damage. Assembly was slow as no instructions inside the box however we had fun figuring it out. Engineering was outstanding so you could not make a mistake in assembly. Wife had fun putting together 12 drawers/ was an expert after the first 3. These vanities are well built and look great. 1st vanity took 90 minutes and vanity #2 took 45 minutes. Thanks for all the support as we made our dream kitchen a reality.
! Adam helped us navigate the showroom for options and upgrades, and customer service was always readily available if we any had questions during the project. 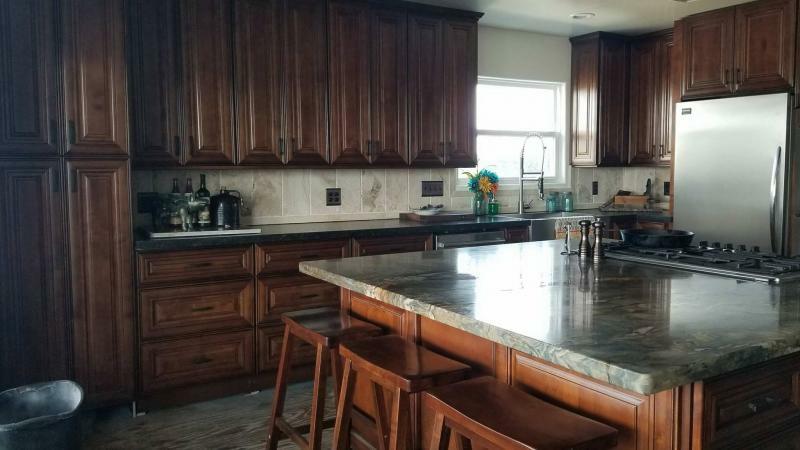 The cabinets are really high quality, and even though it was intimidating to build 25 cabinets, we did it and our kitchen is so beautiful. Each time we cook and enjoy a family meal, I'm grateful to have found this found this company, and you will be too! Bought Bainbridge Chocolate and absolutely look stunning. Very impressed. These look amazing in my new kitchen. They were easy to put together. The slow close draws and doors are high quality. The quality is amazing and looks like we bought expensive custom cabinets. We purchased a maple tuscany small kitchen cupboards and we absolutely love them . We need to get a lazy susan for the corner and an Island . 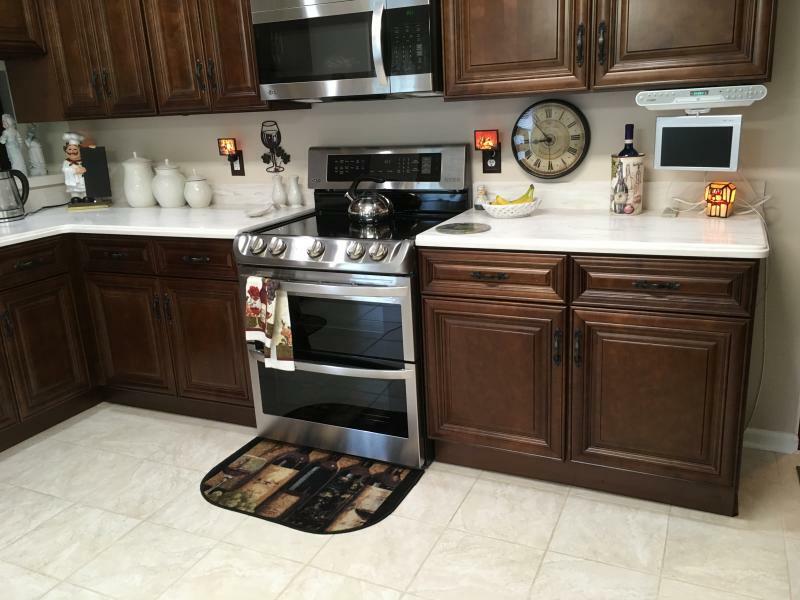 We have installed a lot of cabinets, and these are very good for the price, And there Service is very good compared to some of there competitors, I will only order from RTA cabinets from now on, Thank you for the great service and honesty with minor problems, Jim Zalewski. I received my cabinets when promised. 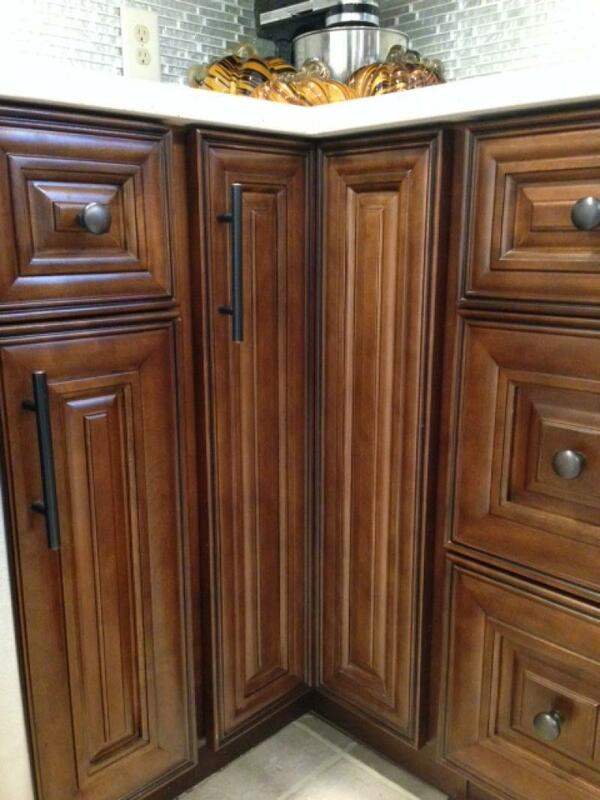 The quality of the cabinets exceeded my expectations, the dove tail drawers, hardware and materials were top notch. Everything arrived well packaged and no damage. Assembly takes about fifteen minutes per cabinet and couldn't be much easier. The cabinets are well constructed and the cam lock system is very secure, I also glued the joints. This is a guest bathroom, we ordered a vanity with a matching base and wall cabinet. The matching mirror is a cabinet decorative end panel. I removed the center panel with a router and replace it with a mirror. Cabinets of similar size would have been almost twice the cost at a big box retailer and the quality was terrible. The cabinets look great, we are VERY pleased! We bought a foreclosure that had been empty for three years. Needed lots of work. Had a contractor give us a quote for $10-15,000. Way over our budget. Having used other ready to assemble cabinets in a previous remodel we knew we could redo a kitchen cheaper but with quality. Although the boxes arrived pretty damaged we were delighted that the only damage was a slight scratch on the side of a cabinet. My husband was very impressed. Outstanding quality compared to what we saw at big box store for same monies. The shipment arrived pretty neat up but my husband was impressed-one minor scratch. Had a quote for three time as much as we spent. 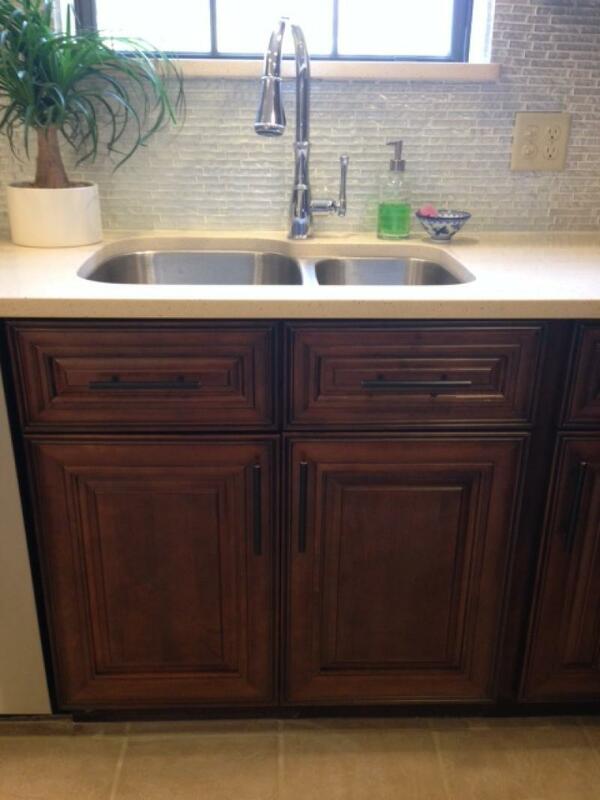 The quality of the cabinets was outstanding, and we had no trouble at all building the cabinets and installing them. My kitchen looks 1000% better!! My experience with RTA Cabinet Store was a truly terrific from the moment I walked into the showroom. I was greeted by Ethan who was knowledgeable, accommodating and attentive. He listened to my needs, took a look at an existing design I brought with me, and made suggestions that significantly improved it. He gave me a print out of the design and a price quote. A couple of weeks later I placed my order and received my cabinets in about 2 weeks. After inspecting my delivery, I discovered that a dishwasher panel and one of the refrigerator panels was warped and that there was a chip in the paint on one of the cabinets edges. I called and spoke to Lisa. She took my claim over the phone, and I sent her pictures of the damaged parts via email. I received the replacement panels and a can of touch-up paint and wax to cover the chip (totally fine). The customer service was outstanding. A few family members got together for a couple of afternoons and assembled the cabinets with no problems. We had a lot of fun doing it. Our installer was blown away by the quality and look of the cabinets and the installation was easy. 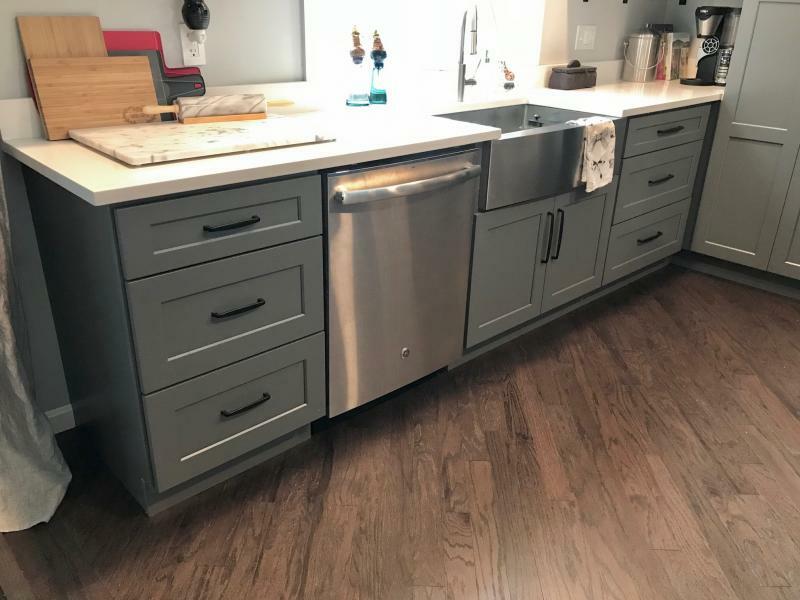 After getting a design and price quote from three other places, I was referred to RTA Cabinets by a cousin who had purchased cabinets from them for her kitchen redo. 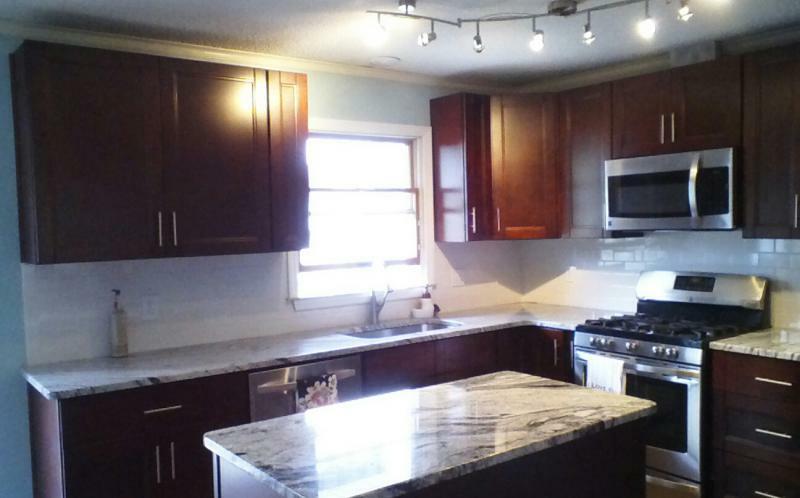 The quotes I received were twice as much and for cabinets that were inferior quality. 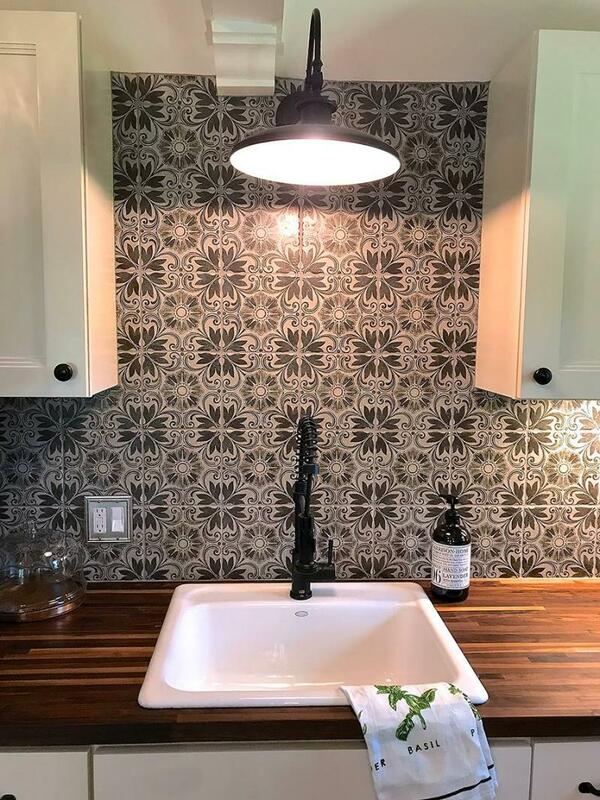 I tell everyone about RTA and will be ordering soon for a design I am doing for my daughter and son-in-law's kitchen make over. I thank everyone at RTA for making a potentially stressful experience a pleasure. 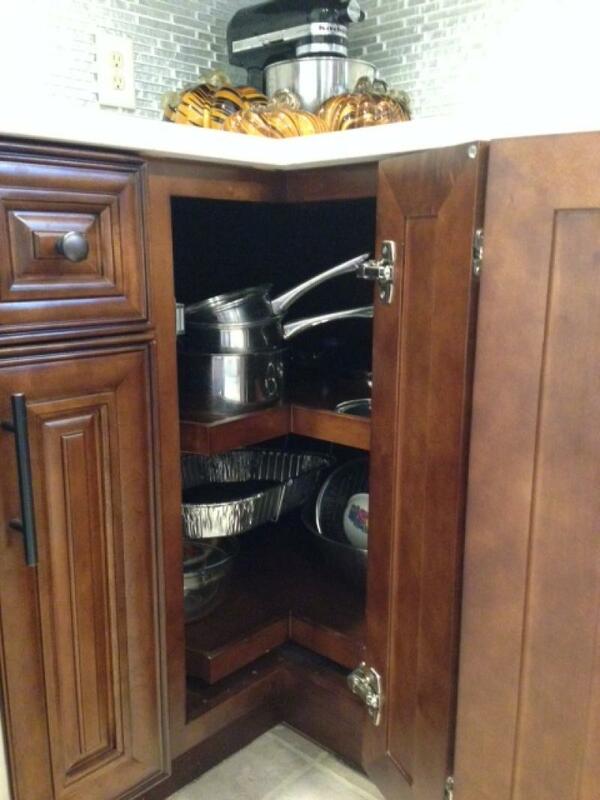 Although I have only just started remodeling my kitchen, I love the pantries I ordered.
! Easy to put together once I figured it out. The only problem I had was the instructions were not very clear at all. Thank you for the beautiful cabinets! I am so happy to finally have my new dream Cumberland Antique White Kitchen. I am in love with my kitchen transformation to a small,cramped space into the big spacious, modern European kitchen I have today. 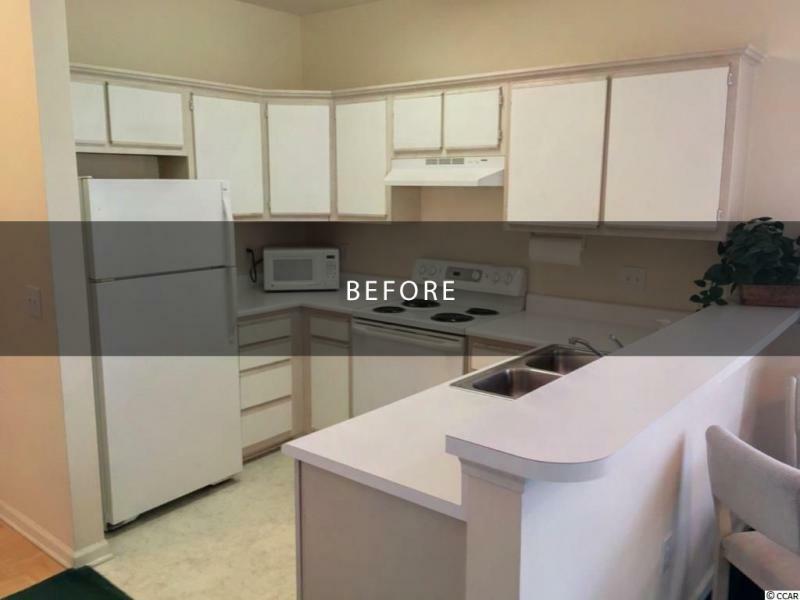 I have wanted a new kitchen for 16 years and it finally came true .My husband, Jay, who is amazing and worked so hard by himself to remove the old cabinets, counter, remove the wall,and assembling the cabinets as well and the floor. Especially now that he is 65 years old. We know the kitchen remodel cost $$$$$. I was skeptical about ordering online, but we decided to go ahead and give it a shot. He took all the measurements and I picked the style and model. I eventually found the style I wanted and realized it would have been impossible to afford if we went through conventional methods. I did have a few problems with shipping. A few items were damaged and dent. I had quite a little upset but the claim dept. was able to replace them only after Jay put the cabinets together and installed them. I couldn't complain after it was already done. I was so happy how it turned out in the end. We didn't hire a contractor, but we did hire a handyman who helped Jay to install the flooring and do other various work. 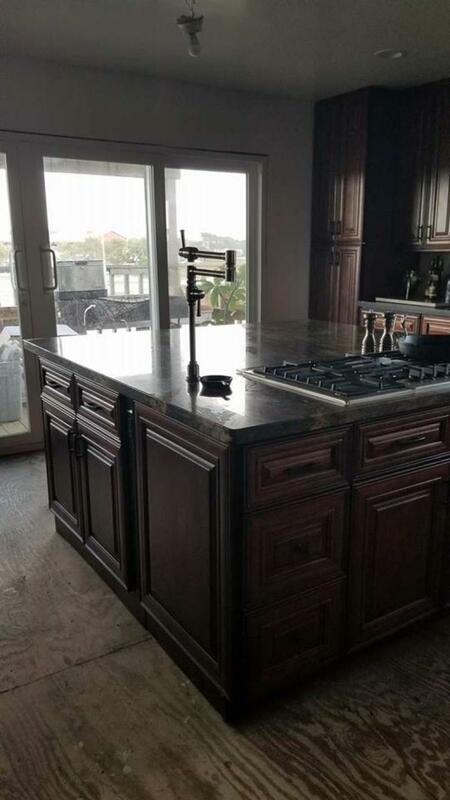 The island we put is bainbridge chocolate and it contrasts very nice with the antique white cabinets. We . We had one extra cabinet that was not necessary and learned that we could use it for the door cabinet under the farm sink. We had a few hiccups and setbacks, but overall it looks great and I'm very satisfied. It took 3 months to complete everything. We endured having no kitchen and we used the bbq outside if we wanted to cook. We also washed dishes outside, just like camping.Thank you again for making these wonderful products. Here are attached photos was before and after. All went great and it takes about 1 hour and 15 minutes on average to assemble each cabinet. Everything lined up perfectly.About half the price of HD and better quality. 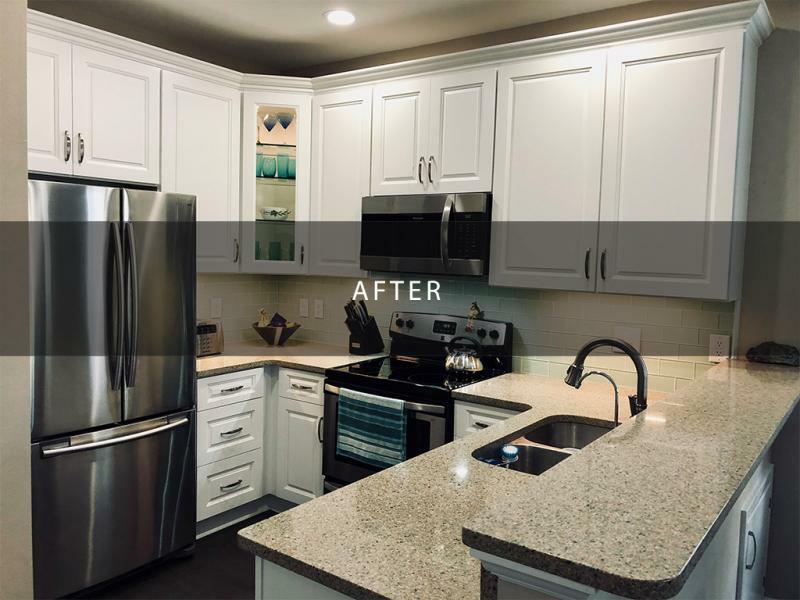 Recently decided to relocate our kitchen, we placed order for cabinets, a few days later we called your customer service department to make some changes and call was promptly answered by Lisa Petrille who proved to be very efficient and product knowledgeable. 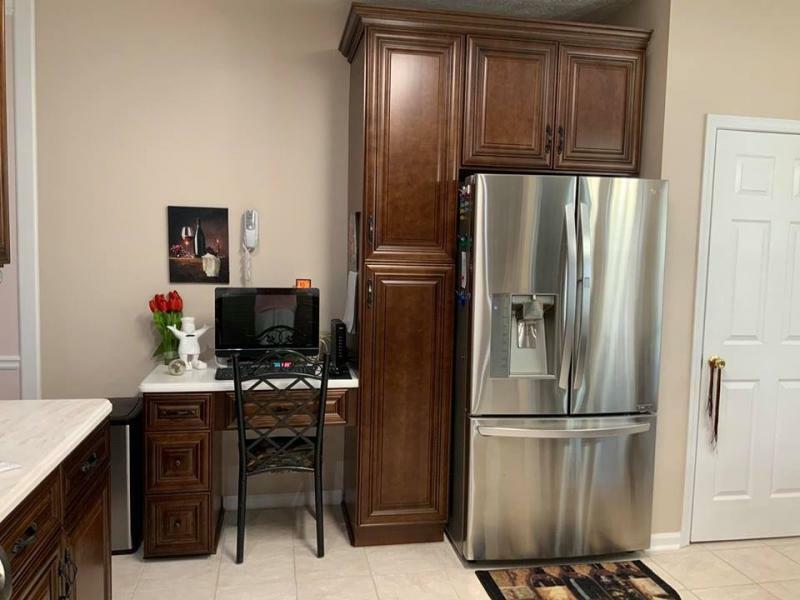 We knew it was a snowy day up north and it would have been impossible to get a hold of someone but there she was having the right answers and the right attitude to take care of our needs : it is now about six weeks later and or cabinets we installed and we just love the outcome. Thank you Lisa for all your help. Just finishing the new construction of the 300S/F home. 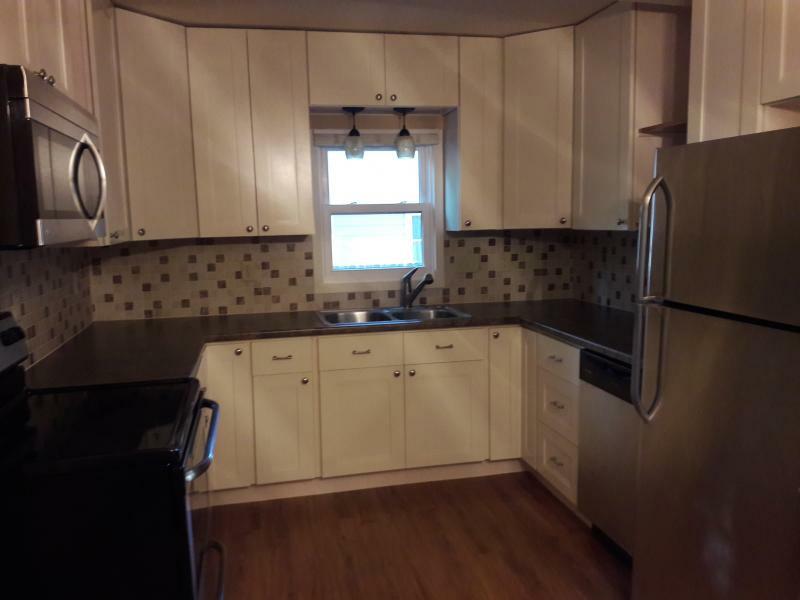 the cabinets are all wood, the price for the entire house meet the budget, the maple wood front face is superb. I'm getting lots of complements from from Realtors and future buyers. 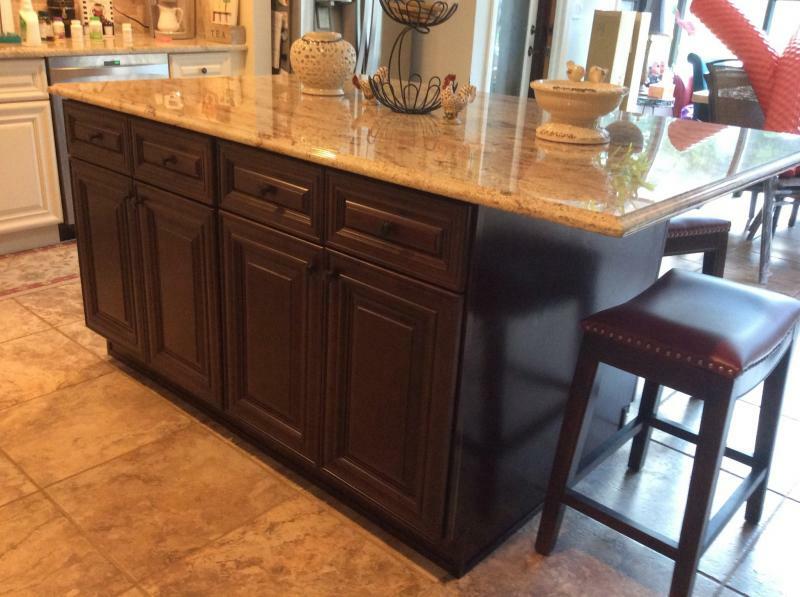 Best price and these are beautiful cabinets. 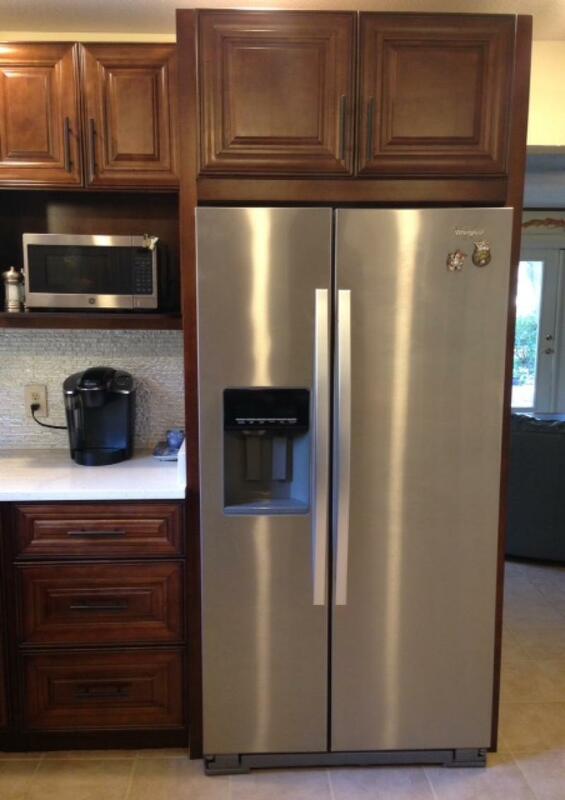 Ordering was easy and had the cabinets in 14 days over the thanksgiving holiday. Their customer service staff was very helpful. Saved 30 percent over Home Depot's sale cabinets, and these are much nicer. I highly recommend and a great overall experience. We want to thank your company for such a great product and even greater customer service.
! With the help of your design team we ordered our Beaumont cabinets at your Memorial Day sale to take advantage of the special pricing. The cabinets arrived and there were a few damaged boxes. We opened those boxes, took pictures of the damages and replacement pieces were sent out right away. Because we were renovating the kitchen ourselves, it took us all summer to raise the ceiling, replace all the drywall in the kitchen and install can lights. After months had gone by we realized that one of the cabinets we received was the wrong one – the amazing customer service team (especially Mindy & Jill) researched the months old order, figured out what happened and had the right one sent out right away. The cabinets went together easily and are very sturdy. 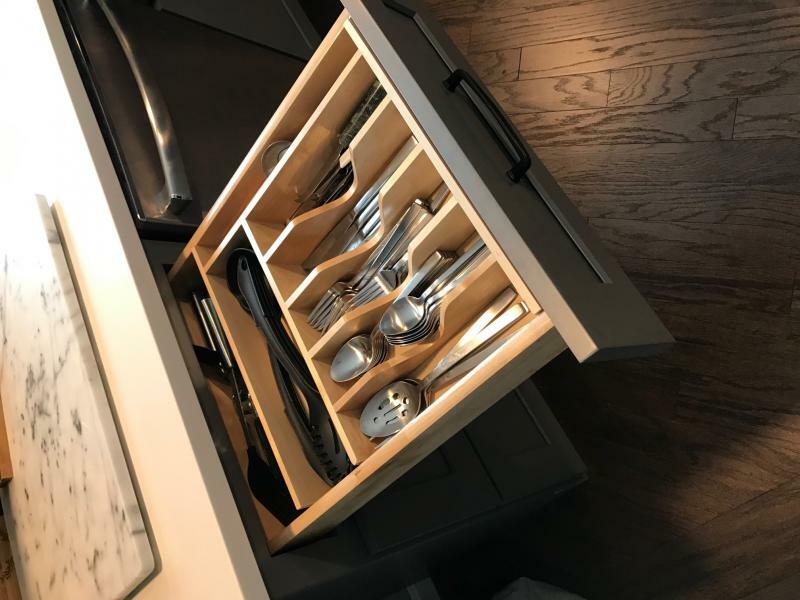 The self-closing drawer and door hardware is top of the line according to a local custom cabinet builder, and the cabinets themselves are beautiful. We found that the big box store brand name cabinets constructed with particle board cost twice as much as the solid wood/plywood cabinets we purchased from you, so we realized a huge savings by purchasing them from RTA Cabinet Store. Attaching pictures of the almost complete kitchen. We still have to install the crown molding. 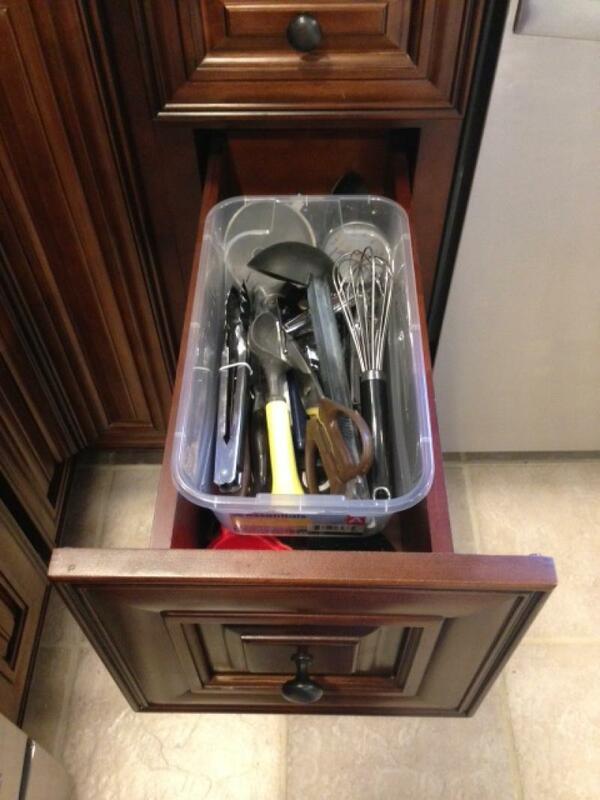 I included pics of the 9 inch drawers where we keep utensils, the bottom drawers are deep, but a regular plastic shoebox purchased from the local DollarTree fits perfectly and acts as a top slider to store shorter utensils. 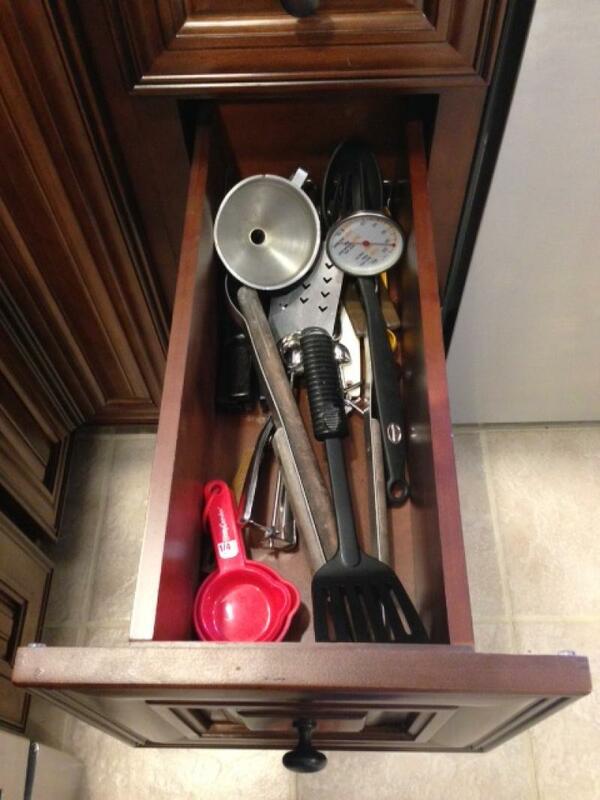 We cut down a bamboo knife holder to fit in the 9 inch drawer to the right of the stove to handily store knives. The two smaller corner lazy susans door openings, while small, are large enough to accomodate all of our pots/pans and larger bakeware/bowls. We are so impressed with the quality, cost and the above & beyond customer service of RTA Cabinet Store. We would (and have) recommend your cabinets to anyone. Absolutely great products at a great value. I used the Elegant White Shaker on this job. Turned out awesome. 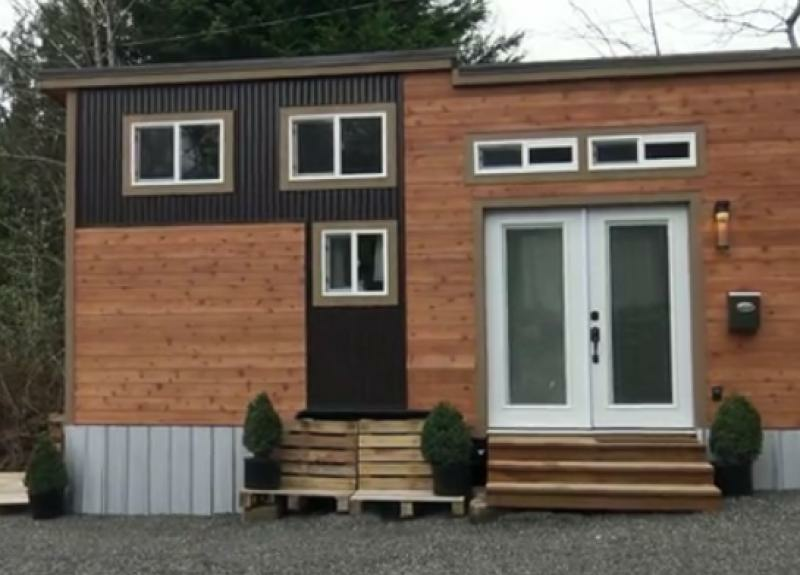 I wouldn't think of using any thing else for my new construction homes. This was our first time to use RTA and we couldn't have been more pleased. The design help, customer service and delivery were spot on. I would recommend RTA to anyone looking for high end wood cabinets. This is my second project using RTA Cabinet Store and for good reason. Easy to assemble, great quality and the best pricing. I've picked them up in the warehouse and have had them shipped to my across the country- both processes were efficient and smooth. I will forever use them for my cabinet needs! Highly recommend! We ordered vanilla shaker cabinets. They look great. Love the soft close doors and drawers. The cupboards are good and solid. Doors are real wood and don't shake like cheap cabinets do when the doors are closed. Very easy to put together. Would definitely purchase again. Needed a stand for a new 150 gallon salt water tank. I waited until my 5th residential renovation using RTA cabinets before posting my thoughts. We do medium to high end kitchens and baths in our project houses and have high standards for quality/construction while trying to maintain a super value. To date, RTA has come through with flying colors. The product quality has been superb - solid wood (we refuse to use particle board cabinetry), quality hardware, good detail, and great finish. We have gotten nothing but rave reviews from clients/buyers - glowing comments from our trim carpenters (installers) - and words of praise from our COO (bean counter)... RTA has a few problems with their ordering system/design program interface - but every time a cabinet is dropped from an order or a color is incorrect - their customer service has handled the issue promptly and professionally. Pay close attention to your final order before hitting "process order" - and you will have no issues. We've assembled/installed a bit over 100 RTA cabinets so far - and anticipate continuing this relationship for a long time.
! We ordered the Expresso Shaker and they all came in. We put them together yesterday and we have to note that each cabinet has high qualities, all wood. Every hole and connector was perfectly drilled and attached. Easy installation, great quality! Nothing was missing! We are very pleased with the cabinets! Thank you so much! We will definitely order again from your company. Very easy to put together and install. Would recommend you to anyone looking for quality cabinets at an affordable price. Thanks for everything. Cabinets came safely packed with no problems. I have enclosed some pictures of the finished kitchen. 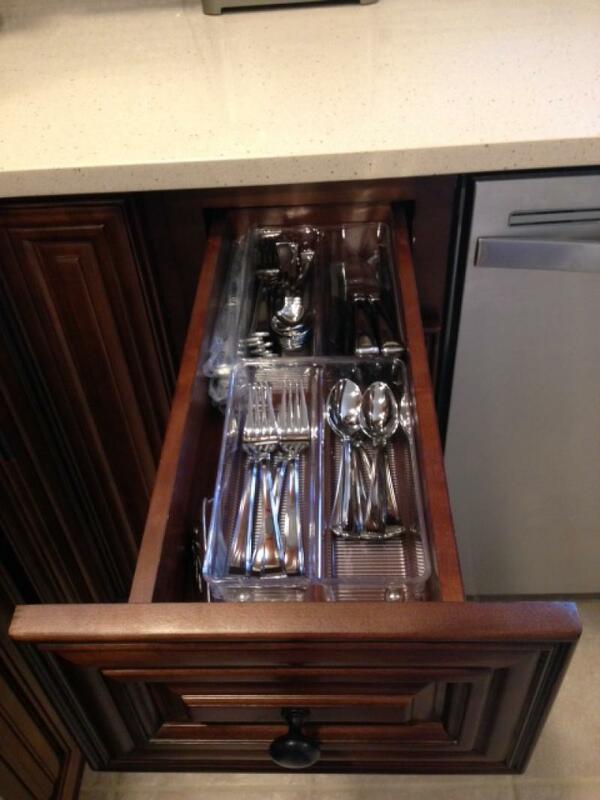 I will never buy cabinets anywhere else.
! 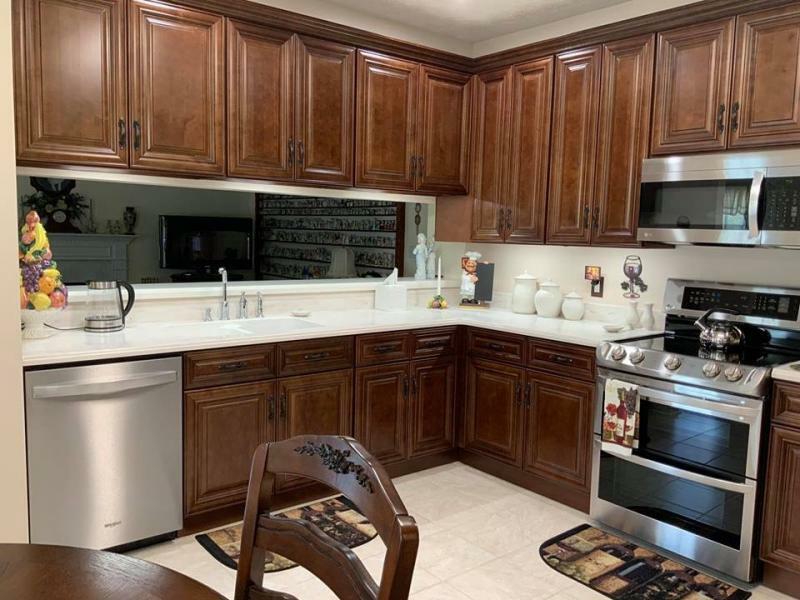 These cabinets are so beautiful and high quality. They are so easy to put together! The prices were half of what I paid for my other cabinets and the quality is better! I wish I had known!! And customer service was fantastic! I can't thank you guys enough! No one needs to think twice about ordering your cabinets. I just wanted to take a moment and send my sincere thanks for your partnership this season. 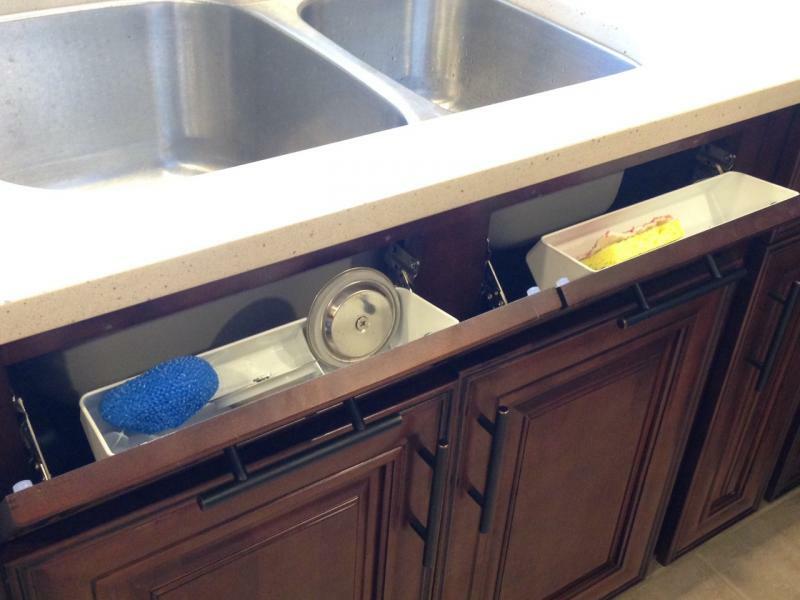 Your cabinets are not only beautiful, but the quality is fantastic, and the installation process is as simple as can be. The real credit, however, has to go to Mike. Mike has made the process smoother than I could ever hope for. 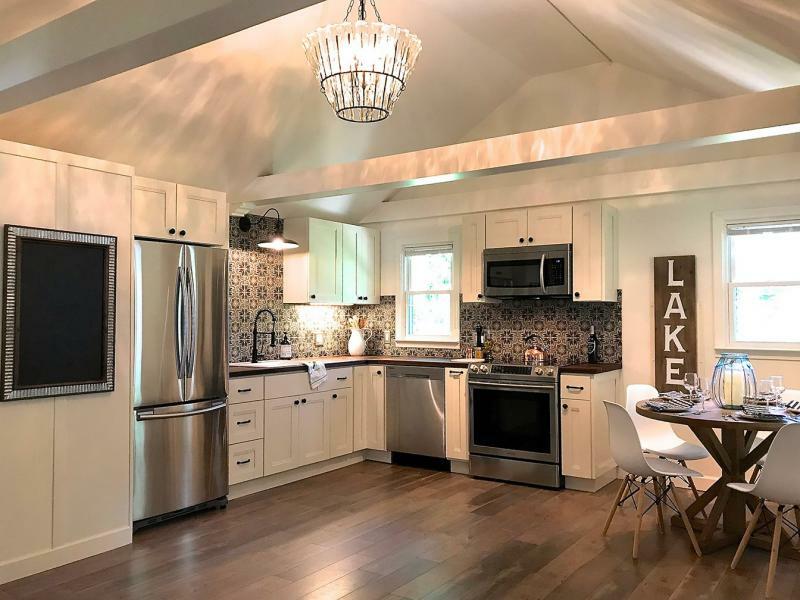 His expertise and suggestions have elevated these kitchens to astronomical proportions, and more than once, he has made last minute miracles happen with turnaround and delivery times. I sincerely hope to work with you guys in the future, but no matter what that future holds, I just want you guys to know that we couldn't have made such a successful 26 houses without your help.